A new study that maps the flavours and compounds in Sauvignon Blanc that appeal to the UK consumer may help winemakers gain a competitive edge in an increasingly crowded market, its researchers claim. The oenological study, which is being presented at the international Sauvignon 2019 conference in Blenheim, New Zealand today, was carried out by MW student and buyer for UK retailer The Co-op Sarah Benson for Canadian company Lallemand Oenology in conjunction with Marlborough estate the St. Claire Family Estate and Masters of Wine, Sam Harrop and Dirceu Vianna Junior. It focussed on creating four different styles of New Zealand Sauvignon Blanc – tropical herbaceous, citrus and barrel fermented – using different winemaking protocols and microbial tools to influence the flavour of the site-specific wines and then determined and analysed the styles preferred by consumers. The researchers claimed that as well as determining consumer preferences of the specific segment they are targeting and giving winemakers the tools to create site-specific wines that reflect these preferences, winemakers can gain a competitive edge in an increasingly crowded market. “If we are able to understand more about consumer preference, and how this relates to winemaking protocols, we can make wine more relevant to consumers which has potential to stem the decline in wine consumption,” Benson said in the study’s introduction. Knowledge from the study would allow winemakers to explore the site’s potential, improve wine quality and refine wine styles in order to target different sectors of the market, it said. Nearly 250 consumers took part in the study, along with 24 wine journalists to describe the aroma, flavour and freshness on the palate of the wines, which were then analysed to determine the sensory compounds and flavours and cross- referred to the answers given by the consumers and journalists. Citrus was the preferred choice among both groups in terms of aromatic profile and freshness of palate, with a tropical style the preferred flavour of consumers, while the wine writers again plumped for citrus. “This study allowed us to measure the preferences of UK consumers in terms of different styles of Sauvignon Blanc, which also appeared to vary depending on age group and average spend per bottle,” the study said. It pointed out that older consumers, who tend to spend more money per bottle, tended to prefer the tropical and barrel fermented styles. It also noted that the descriptors used for the wines differ between journalists and consumers, but they were able to see that the consumers “could perceive the aromas generated by the different volatile aroma compounds and describe them with an acceptable degree of accuracy, despite using a more simplistic vocabulary. 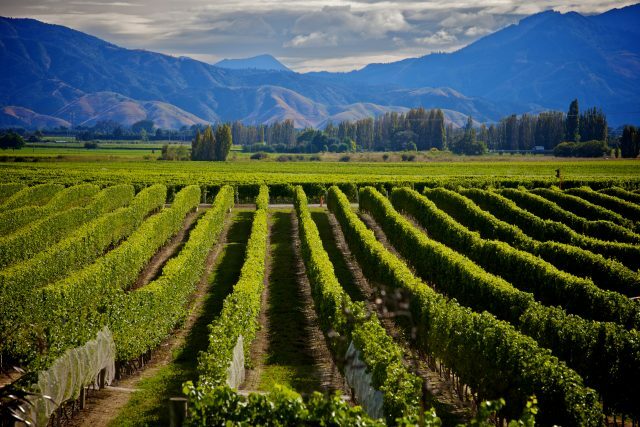 Lallemand Oenology is due to carry out similar research on the 2019 New Zealand Chardonnay harvest later this year. The study is being presented at the three-day international conference celebrating Sauvignon Blanc, which is currently being held in Blenheim, New Zealand this year, followed by a tasting and masterclass in London in March.